Paul Cutler finished 21st in the Irish Open in Killarney but couldn’t make it through Stage One of the Q-School this week. 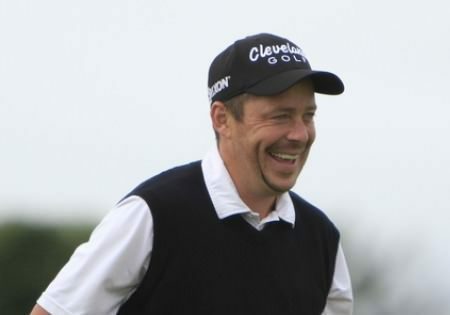 Picture Fran Caffrey/www.golffile.ie Paul Cutler agonisingly missed the 54-hole Q-School cut by a shot at Frilford Heath and must now rely on sponsors invitations to earn his tour card this year. The 22-year old from Portstewart, top scorer in Great Britain and Ireland’s Walker Cup win last month, shot a six over 78 to finish on 15 over at the Oxfordshire venue in the First Qualifying Stage. It was a sad end to a personally difficult period for the likeable Ulsterman, whose grandfather John Cutler sadly passed away last week. The former amateur star can still earn his place on the 2012 European Tour if he earns around €220,000 from what looks like being no more than three European Tour starts between now and the end of the season. The reigning West of Ireland and Irish Close champion is keeping his fingers crossed for sponsors invitations for the Castelló Masters in two weeks and the Barclays Singapore Open from November 10 to 13. In between, he has already been assured of a start in the Andalucia Masters at Valderrama from October 27 to 30, where stablemate Graeme McDowell defends. 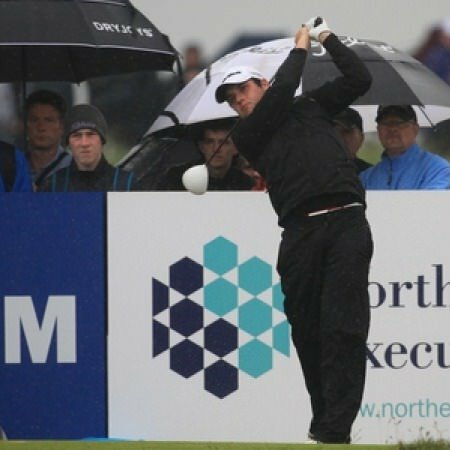 Cutler turned professional after the Walker Ciup but has so far missed the cut in the Austrian Open and last week’s Alfred Dunhill Links. However, if he fails to earn enough to win his card this year, he is assured of a competitive schedule in 2012 through invitations to play on both the Challenge Tour and European Tour. Four of the six Irishmen in action at Frilford Heath made the cut with Castleknock Golf Club’s Mark Staunton, the Ballinasloe native, tied for fifth on two under after a 74. The top 25 and ties after Friday’s final round will progress to stage two in December and Waterville’s David Higgins is well placed to earn his spot at one of four Spanish venues despite slipping to tied 15th after a 77. Castle’s Dara Lernihan is six shots outside the qualifying mark having made the 54-hole cut with a shot to spare after a 75. At Ribagolfe in Portugal, five of the six Irish entrants survived the 54-hole cut but only three are inside the top 25 and ties who will progress to December’s second stage. Derry’s Mick McGeady is tied for second behind Sweden’s Bjorn Pettersen on five under after a 72 with Florida based Ballymena man, Chris Devlin, joint sixth on three under after a 71. Ballyliffin’s Brendan McCarroll is two shots inside the cut mark for the top 25 and ties after a 75 relegated him to joint 16th on one over. Fergal Rafferty and John Kelly both survived the three round but need to shoot the lights out to make the op 25 now. Rafferty shot a 76 to slip five shots outside the mark on nine over with St Margaret’s man Kelly six off the pace on 10 over. Paul Cutler at the Irish Open. He is now a professional with top caddie Phil Morbey on his bag. Picture: Fran Caffrey/www.golffile.ieWalker Cup hero Paul Cutler has a mountain to climb after opening with a five over par 77 at the First Stage of the European Tour Qualifying School. Mick MGeady (above), Chris Devlin, Brendan McCarroll, Mark Staunton and David Higgins are all going well at Q-School. Photo Eoin Clarke/www.golffile.iePaul Cutler is six shots outside the top 25 and ties who progress to Stage Two from the European Tour School Section D qualifier at Frilford Heath after adding a second round 76 to his opening 77. The former Walker Cup star is tied for 69th on nine over and in danger of missing the 54-hole cut as only those within seven shots of the qualifying mark - currently three over par - will contest the final round. Michael McGeady qualified with ease for the second stage of the European Tour Qualifying School. Photo Eoin Clarke/www.golffile.ieBig Mick Geady topped a quintet of Irish qualifiers for December’s Second Stage of the European Tour Qualifying School. Of the 40 players who teed it up in the First Stage, 12 (or 30 percent) made it through.